This powerful 90 minute audio MP3 file is being shared to assist every soul of Light who is currently struggling with the energies of transition. Due to the current earth plane energies and what every soul of Light is challenged with presently, we are sharing this MP3 recording with everyone. It is just one part of using the Rays to assist with the Lion’s Gate energies. 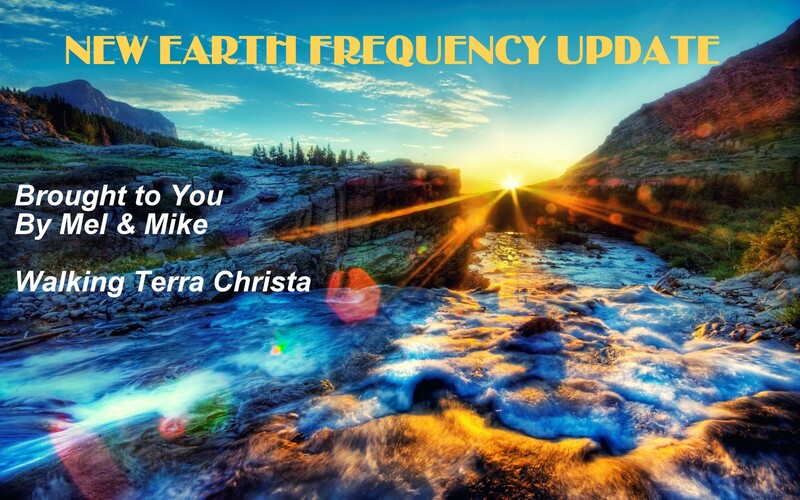 To receive this MP3 file, please register on Walking Terra Christa, http://walkingterrachrista.com/healing-physical-manifestation/. We are now inviting Lord of the Great Bear back to the Clarion Temple of Oneness by special request of Saint Germain on Monday, July 29th, 2013. 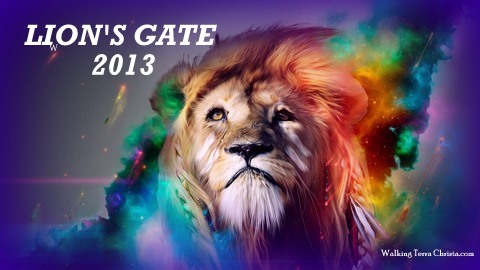 The energetics of the Lion’s Gate is another stargate opening up the frequencies of light through the Galactics but being fully guided by the Unified Whole. 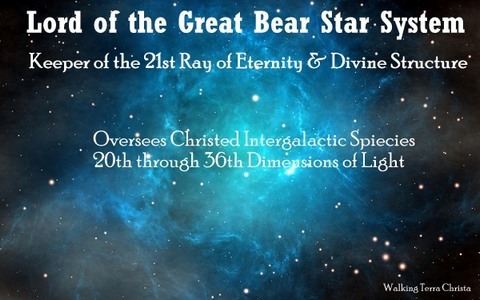 Lord of the Great Bear is the representative for the Christed Intergalactics within the Unified Whole. We are excited about this special meeting with not only him but his colleagues. The Lord of the Great Bear will discuss the Command Center for the Christed Beings of Light to interact with the Earth Beings; he is the overseeing energy of all Light Frequencies in alignment with the Brotherhood and Sisterhood of White Light focusing upon the Unified Whole Creation. Lion’s Gate is the access to allow these frequencies to be housed within the human conditioning. He will speak along with representatives of each of the major planetary systems along with Lord Sananda and Ashtar Command. Then the Arcturians, Andromedeans, Pleideans, Sirians B along with Mikos, representing the Hollow Earth who is the representative of the Intergalactics within the Inner Earth.. The Lord also known as the Logos of the Great Bear Star System is the higher aspect – the cosmic level of the Lord of Sirius and the Great White Lodge, who is the higher aspect of the Solar Logos, Helios. This also includes the star systems under the Great Bear Constellations of Arcturus, Sirius, Pleidius, and Andromeda. He also aligns his energies within the dimensional frequencies from the 20th through the 36th level which represent the Christed-Extraterrestrial Beings of Light. He is a majestic Being that many do not know about his essence. He is the overlighting energy of the 21st Ray of God, Eternity and Divine Structure “Learning to Access Spiritual Harmony of Light Within”. This ray becomes the 21st chakra in the 5th dimensional chakra grid that is aligned within the Third Eye with the colors of Blue Gold. Working within the 21st Ray will help in accessing and healing of All Timelines whether they are active or inactive. This opens up the doorway for Clarity and illumination; thereby, accessing the ability to perceive all dimensions as One Source of Light. We will be honoring the essence of the Lord of the Great Bear Star System in the Clarion Temple of Oneness mediation on Monday, July 29th, 2013. This call is held via teleconference and you can sign up to be on the live call via our website, http://walkingterrachrista.com/tele-calls/. Previously we worked with the Lord of the Great Bear within the Clarion Temple of Oneness in April of 2013 , a Meteor Shower of Love, which was a very powerful connection for everyone.. The transcription of the Clarion Temple of Oneness, “Receiving Your Star Glyph, with Lord of the Great Bear” is available to read by accessing the link, . Individuals may join the Clarion Temple of Oneness for the live call. Please click the link to see the details to join on a per-call basis. We hope to hear your voice in the magnificent time of creation upon the Earth. We, at Walking Terra Christa, want to acknowledge the energies of the Lion’s Gate so we and others can have a clearer definition of what these upgraded frequencies represent within the 4th dimensional world we live in. This information resonates with the messages that Lord Adama and the Team of Light have shared in the past few weeks that we are about to be hit with some very intense vibrational changes. The following transmission is being guided by the Elohim Councils of God and the Elders That Surround the Throne of Grace that represent the 12 Rays of God. We thank them for their message of love. We thank you for taking the time to receive these energies of understanding. We have come together with the Elohim and the Elders in group consciousness to assist the divination of light in order to have an understanding of what we are expressing in these moments. It is important that we have a general knowledge of the changes that are already happening within the planet in order to fully grasp the conditions that you will be receiving in the next couple of weeks. Each of you is at a time when changes will occur within you and you will go into a deeper part of your essence. It is all part of the plan that has been set since December of last year. It is important to realize that the energies that are existing upon the planet are in need of great assistance but it must come in stages of growth. When it was decided that many levels of humanity could survive a transitioning planet, the increments of the upgrades needed to come during very important times instead of bulldozing the energies all at once. You see, there is so much more that needs to be healed within GAIA and in order to accomplish the goal that is intended, it must be done in a certain manner. Each of you has assisted with this transition due to energetic healing and psychic advancement in many souls upon the planet. 2013 was to be a year in which transition would be the main focus but must be acquired in stages that would create a synchronistic outcome. If we look back upon this year, it truly has achieved its worth with the transformation that has occurred within the planet. But, yet, there is so much more that needs to be done and we will continue to assist with the transition as much as possible and with the least of tragic events involved. This also depends upon the group consciousness of each location and how the energy will affect their environment. The Gate of the Lion represents a doorway of an energetic surge just as the Lion is roaring its way through the jungle. It could be likened to the massive amount of debris that needs to be cleaned up. It also will assist each individual soul to move to a higher state of existence in their own consciousness and physical reality. It is important to understand where you are standing presently before the occurrence on July 26th before we enter this doorway of extreme acceleration. Reflection will be needed through this occurrence of light so it is important to have an inner inventory of your thoughts, feelings, and sensations that are happening within your physical vehicle. ALL WILL BE CHALLENGED THROUGH THIS PROCESS. It will depend upon each individual’s growth, how much foundation they have created, and how strong an individual can be while riding through the storm. Let us describe what exactly the Gate represents through energetic exchanges. We, of the Elders that Surround the Throne of Grace, represent the 12 Rays of God. We are the deciding factor of emitting the Rays of God into each Ray Chohan, Archangel or Elohim so that it can then be sent to each Initiate or Chela upon the Earth. Rays of Light coming into the planet will occur within these dates. Those that are balanced within their knowledge and ability to handle the rays will experience a much better outcome than those that do not. It has been decided from the entire God Force and Creation of Oneness that the rays need to be emitted into the earth’s atmosphere. Someone that has never experienced the Rays of God and its power will feel like they are walking through a wind storm. It will emit the frequencies of God’s essence through each of the qualities represented by: Will and Power; Love and Wisdom; Creative Intelligence; Harmony and Balance; Science of the Light; Inner Devotion; Ceremonial Structure and Magic; Higher Cleansing accessing the Higher Self Energies, Attraction of the Light Body; Blending the Masculine and Feminine Divine by Illumination of Light; Bridging the Old into the New; and Accepting the Christ Consciousness. It is important to realize that each of our rays will help to activate energies within the earth to ascend into a higher consciousness level to receive the Christed Self in every living being. So individuals that have never stood in God’s light will be feeling this profusely within their physical world and it may affect them adversely. Those of you that are fully activated in some or all of the rays will feel an euphoric effect within you. It will help you to move further into your highest aspirations. It will assist you in your initiation process and move some of the challenges that have been in your way. THE MORE THAT YOU KNOW AND PERCEIVE THE BETTER THE RESULT WILL BE. We, of the Elohim Council of God, as the Seven Rays are here to assist you ground the energies. Each initiate will be asked to go deeper into their self-awareness to comprehend and understand these frequencies of light. You are the grounding force to help others to accept the changes that will be occurring. We want you to know that we are here for the asking especially for the first seven rays of God that will assist you in accepting the higher frequencies within your physical body. So if you are ready to move into a new initiation, you will do so. If you have been challenged by certain conditions in your world, they can be removed. What you think, you will receive. Your thoughts will be very astute and the energy will come back to you. It is a time to utilize your tools to the fullest extent because you are being asked to stand in the power of God’s Light to accept your Divinity. As you do this, it will ground it more fully into GAIA. More souls upon the planet will be able to handle the frequencies by you accepting it within you. This does not mean you will not be challenged as you will. Acceleration can come quickly through these phases. As you go through your initiation phases, more DNA is acquired. But it can only happen by allowing the changes to occur within our full body system. Receiving all strands of the 12 can only be acquired after the 7th initiation. What is happening through this process is that when you receive activation from others, they do not give it to you, it comes through the Elders of the Rays of God, into your Monad and Soul essences, combining your I AM Presence, and only then, if you are completely ready to accept them physically. Some individuals have them acquired in the higher consciousness but NOT IN PHYSICAL FORM. There are very few lightworkers walking upon this planet fully activated. It can happen but there can also be disastrous results within the four body system. So what will happen through these changes of the Lion’s Gate is that your Emotional and Mental bodies will become more aligned to prepare for the blending of the Masculine and Feminine Divine. Your Etheric body will be clearing intensely of the timelines that do not fit this essence. So if you are going through dramatic changes through this period, know it is probably from the Etheric Level. Whatever you need to be cleared, ask for it to be and it shall. Just Be the Essence that you are Becoming. Ray 7 – Arcturus and Victoria for transformation of sacred living. As both the Elders and the Elohim, we want you to know that the time of procreation is now upon GAIA. We thank you for your assistance, and now that our creation will be your creation as we are ONE together, One Heart, One Mind, One Essence of Light. Blessings and Joy to each of you in these moments of Light That We Are. 1-Deep Blue; 2-Golden Yellow; 3-Deep Pink; 4-Crystalline Light; 5-White mixed with Green and Gold; 6-Ruby Red with Gold; 7-Violet with Deep Purple; 8-Seafoam Green; 9-Blue Green; 10-Pearlescent; 11-Pink Orange; and 12-Gold. You may breathe in the colors through your 12 chakras as each of the rays blend into the chakras and on the 4th dimensional chakra grid they become the chakras (Ray 8 through 12) or call upon the Ray definitions that were given in the message from the Elders. Rev. Christine Meleriessee & Mike Hayden, 5th Dimensional Mastery ~ All Rights Reserved. Today is a special day, a new beginning of my own realizations of the work that I do every day of my life. We never know what we are going to receive as there is always a higher purpose in every task, thought, or interaction that we encounter during our days upon this earth. As an individual who walked into this life of Christine, I had no idea of the rewards that would be given to me just by stepping into the unknown world of Spirit and accepting my Family of Light into my conscious world. I live and breathe Spirit. Those who have known me through the years know that this is my passion, but no one can ever understand it until they experience it for themselves. My partner, Mike, is having these realizations himself as we live a fifth dimensional way of life in Mt. Shasta. Souls that have left the Earthplane have a tendency to arrive in my consciousness when I least expect it. I gladly assist them in understanding that they are lost in between the worlds and that stepping into the Light will help them remove their confusion. I want to share my experiences of helping the individual souls who have died and do not know where they are going but roaming aimlessly through between the worlds. They have left the third dimension and cannot find their way to the higher frequencies of light. This is usually because they feel lost, may not know they have died and left the body, or are in such a state of grief and do not want to leave their loved ones. The individuals I know, I assist immediately. The souls I am speaking about are celebrities, individuals that you think you have no connection with personally but yet they appear within your consciousness looking for assistance. In this day and age this is happening more often than not as souls are transitioning away from the 3rd dimensional earth to heal and possibly return into the New Earth or it is just their time to move into another state of existence. I have these thoughts that when these souls come to me, “Why me to help them”? It is a pleasure to give service in this way and on this day, through the help of Lord Adama, the High Priest of Telos, as my partner, Mike, was channeling his energies I was apprised of information that I had not thought about before. Even though I do not know any of these individual souls in this lifetime, I have a connection with them from previous timelines. It is for this reason that their energy is magnetized towards mine. Some of these individuals have been Michael Jackson, Michael Duncan (who played in the Green Mile), Whitney Houston, the firemen in Arizona that recently died, and yesterday, a very special individual who just passed into the realm of Light, Cory Monteith who played “Finn on Glee”. Each of these souls has affected my soul through watching them and feeling their heart-centeredness so my connection was based on what they have given to this world. When we heard about the firemen in Arizona, we included them as a prayer of healing within our weekly meditation group, the Clarion Temple of Oneness (You may access recordings or be part of the live calls by registering, http://walkingterrachrista.com/classes/clarion-temple/). About a week after the meditation, we were sitting on our front porch enjoying the pristine energies when I felt Fred, Yamtelus, who is the guide for the Clarion Temple. He told me the firemen wanted to thank us. With that all nine of them appeared on the porch giving us praise for assisting them. “We know that we now can heal from this event and help our loved ones from this side. It is a blessing to meet you; thank you for calling upon us. We plan to return to the New Earth so you will hear from us.” Mike was in tears as he was feeling the energies just as I was. It is wonderful to feel their essence, but most of all to see him sense them also. Yesterday on July 14th I heard about Cory and was immediately saddened by his passing. My partner and I have been watching Glee as we enjoy the music and the storylines that make you laugh and cry. As I was feeling sad of his leaving this Earthplane, his essence came to me. He did not know who I was and was confused. I explained to him that I was a shaman and healer of many souls who help them go to a special place called, The Clarion Temple of Oneness. I offered to call upon Archangel Michael to assist. He still seemed confused. So I explained a little more in depth about the process of the temple and the healing that occurs. I also introduced him to a special soul whom we all loved, John Lennon, as he helps souls to go to the right level of light that will align with whom they are. When I mentioned John, his essence perked up and was ready to listen to me. John escorted him to Archangel Michael who then introduced him to the guide for the temple, our Beloved Fred now known as Yamtelus who was a Firemen from 911. I had helped him find his way after the onset of the tragedy. (Background information on this interaction and how the temple was started is available via http://www.clariontemple911.com). Cory then went on his way and I felt that he was in a safe place. That was not to be the end of our connection. Last evening Mike and I were watching one of the reruns of Glee from Season 3 in which they honored Whitney Houston. Certainly, there are no mistakes. It was very moving and emotional for both of us to see Cory on screen once again. I came back because I was told that to say thank you to someone who has saved their soul was important gesture to honor them. I want to say that I do not know where I would be without your help. I met with Archangel Michael and many others. They showed me the Temple that you spoke about as there is an observation area. They told me I could come back any time and when I was ready, I could be healed to join in with everyone else. It was exciting to meet John Lennon but then Michael Jackson. It is more than I could ever hope for. I don’t know how you do what you do, but I understand that there is a world that I never understood. I wish I had as things would have been different for me. I want to heal and return when it is time but there was someone else that came to me. He said he was an ascended master from a special place on the Inner Earth called Telos. He was very kind to me and told me that when I was ready there would be a place for me in this City of Telos where I could heal more deeply. (Lord Adama is the High Priest of Telos beneath Mt. Shasta who assists many souls of healing after they pass away). I cannot tell you how wonderful you are, Meleriessee. I never would have believed it if it had not happened to me personally. I also met the man you call Fred, I cannot pronounce his other name. He told me he would watch over me. I can now accept my passing and help my loved ones. I want to help all of them so very much. Mike spoke: I know what you mean, Cory. Meleriessee is amazing and I have seen it first-hand. The fireman came to us two weeks ago to say thank you and I felt their essence. It was so emotional, just like we are feeling now. When Lord Adama tells you there is a place for you to heal, he will keep his word. Cory: I just want to say thank you (all the while Mel is crying and he is healing his essence through her tears). Thank you for watching Glee and for reaching out to me. I do not know where I would be; Archangel Michael told me it could have been a very long time before I realized where I was. Both of you are so special and I am blessed, so very blessed to have this experience. Thank you, again. With that, the energies shifted and he left. It was at this time I felt different. We have been working with the Archangels and the Elohim of the Rays for our Prosperity Circle on Saturday’s. This past week we were honored with Archangel Chamuel who represents the Flame of Adoration and accepting our own acceptance of God’s Light in Service. I realized that he was sharing with me the essence I had given to Cory to help him find the Light. It permeated into my body and I could not stop crying from tears of joy. I felt amazing just like Mike has shared with me in many moments. The healing I gave to Cory, he gave back to me through Chamuel. I felt adored in a way that I cannot describe. When Lord Adama spoke to me after this experience, he shared that we all knew each other in Lemuria. That is why they are magnetized towards my energy so that we can help them heal and return in human form for the New Earth. It is so magical feeling their essences and understanding the process that we are all undergoing to return again to the joy of community of love that will be represented in the 5th dimensional energies of Terra Christa. We have been going through challenges financially for some time but this past week it hit a new all time high and working with Archangel Chamuel has assisted me so greatly. The power of this work when you fully surrender is beyond our wildest dreams or realizations., it is not until we fully realize the magnificence of our service to others and it is received back within us, that we can acknowledge how deeply we are doing the work. Today is a new beginning for me. We honored Cory in our meditation group, and our guest speaker was Lady Liberty, Goddess of Freedom and Illumination. I say to myself that being illuminated with the most powerful light from Chamuel is the most beautiful gift that I could ever receive. I could not have done this on my own. And today, I received a long-standing client for 12 sessions. It was a moment of great exaltation and love as I am experiencing what I am putting out is coming back to us in 10-fold. Never underestimate the power of love and working with a group consciousness for prosperity. 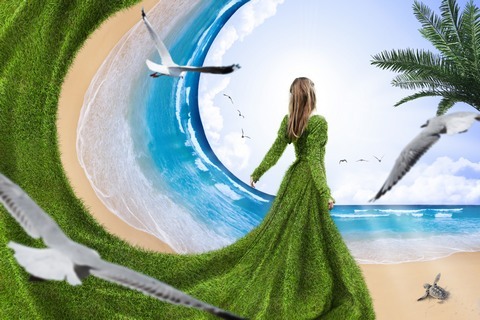 (You may join the Abundance of Light-Creating Prosperity Together as it is given of service, without obligation of time or fees, http://walkingterrachrista.com/join-abundance-circle/) . I thank you, Cory, for showing me all that I share with so many. I am honored that we could work and connect with each other. I look forward to our future moments together. I AM Meleriessee, at your service. 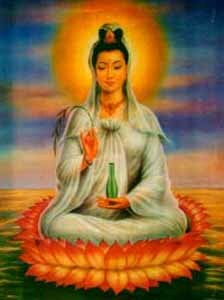 Lady Quan Yin will be our guest speaker for the Clarion Light Temple of Oneness on July 8th, 2013. (An individual may join this call by registering on our website, http://walkingterrachrista.com/tele-calls/.) We are experiencing a new moon cycle and it is the perfect opportunity to work with Quan Yin as she brings to us the grace and joy that flows from the Divine Mother into her essence. In Korea Japan, and China, she is called QUAN YIN. She is a celestial bodhisattva and an ascended master. One of her jobs in the celestial spheres is to sit on the board of the Lords of Karma. Photo: The mysterious sound of Quan Yin’s name is holy like the ocean’s thunder. There is no other like it in the world! Lady Quan Yin with Angel Roshel are the Overlighting Beings representing the 11th Ray, Bridge to the New World, in the color of Pink-Orange. It is activated through the 4th Dimensional Chakra Grid within the Solar Plexus area as it merges with the 6th Ray of Inner Devotion in the color of Ruby Red/Gold on the 3rd dimensional grid. This ray continues the process from Attraction of the Light Body, Ray 10 through the Sacral Chakra, and is a bridge to the New Age. Its color is an orange-pink luminosity. It helps one get in touch with Divine Love/Wisdom. It is a combination of the 1st, 2nd and 5th rays and white source Light. It is a combination of the red, blue, and orange rays mixed with the white light. It will give off a feeling of being on a wave and will move through the body and out again without attaching itself to an area of misperception. It represents the ability to get in touch with an individual’s Divine Love of removing all present and past life trauma stored in the 3rd chakra as it assists an individual to move to the higher levels of actualizing the light body by being the Bridge from the Old World to the New. It is my Divine Pleasure to be with each of you in this moment. How very exciting to stand with so many lightworkers and join in the exaltation of the frequency of light coming into GAIA. We are experiencing extreme changes upon the planet that are being exhibited by high levels of intensity through the emotional body. I am so happy to be able to speak in the Temple as this is the time of the New Moon when the heightened awareness of the planetary structure is blessed upon Earth’s atmosphere. I also understand that the reflection of your essence is being powered up through your Higher Self trying to assist you in creating new experiences upon your existence. This can cause great confliction with each of you as you are trying to process to changes that are occurring within your physical world. The main focus that needs to be brought to your attention is how is your own essence being shared with others around you. I do not talk with words but with thoughts and emotions. The existence of your experience is centered upon how you expand your essence out into the world around you. This is affecting the land, your sacred space in your homes, your loved ones in your physical world, and those you interact with on a moment-by-moment basis. As you are going through the changes within your consciousness, these energies can be emitted through your auric field. Others will be effected by them unless you take time to fully clear all elements that are appearing through your sleep state, your meditations, and your daily living. The breath of life will assist you in transforming these thoughts/emotions that do not fit your higher purpose. They are emitting out of you like a cannon shooting elements into the air that need to be dissipated before they can create any harm. Each of you are changing so rapidly through the emission of the light within the planet that you are probably not aware of each moment of your breath. Within that breath lie the thought forms that are lodged within your physical mind and heart that is being transformed as we speak. It is important to consistently utilize the essence of the rays to transform these areas of weakness and disruption that has been lodged within your consciousness from all the past timelines (lifetimes) that you are releasing. As I bring to you the 11th Ray of Walking from the Old World into the New it is important to fully accept the transition that you are going through. This ray is exhibited within the 4th dimensional chakra grid in the color of Pink-Orange through your Solar Plexus. It is helping you to realize the old elements that have been stuck within the Solar Plexus from the many timelines in which you did not have your full Inner Power. Now is a time to fully allow this essence to enfold within you as it will help you to fully realize your Christed Beingness within you. Take the essence of the Pink-Orange and breathe deeply within you. Allow it to enfold within your Solar Plexus to feel your personal bridge to your new world to be awakened within your Heart Center where the Christ Consciousness resides. It will help to transform and enlighten all aspects of your lower self to accept the higher self’s role within your physical structure. Then, when, you interact with others in any type of environment you fully are exhibiting the power of your Higher Self manifested within you. Otherwise, you will be transferring the old elements that have not been released. Now, you are assisting others to do the same ~ to feel their Higher Essence within them with the transformative qualities of the Pink-Orange Ray giving off the feeling of Divine Love manifested within the Self. I AM Lady Quan Yin at your service. We, in the USA, celebrate the 4th of July remembering the transition that our country went through into freedom from tyranny over 200 years ago. Today I want to honor this occasion, but in a completely different manner. Let us reflect what freedom means within each of us personally. We talk about Oneness on the spiritual path consistently now. Many feel that this Oneness represents our communities, free from organizations or people controlling us, while allowing the Love essence we desire so completely to be our guiding post in our lives. All of this is true but it needs to come from a much deeper level. We look at the world as it is changing greatly. We have now many more awakened souls than we ever thought could happen at the onset of this century. Individuals are speaking about spirituality from their hearts while wanting to share with others their story, their teachings, and their understanding of what Oneness means to them. We, then, have others that want to argue with every article and post that is being shared on the internet due to their own personal beliefs. This can cause much dysfunction between souls that truly want to come together and honor one another. This means we are interacting with the dark and light within us. We are a society that is growing from the third dimensional arena of dysfunction and trying to find our place with others. Some of us have been doing this longer. The mass consciousness that is occurring today is unbelievable, and we have more souls acknowledging that meditation is the deciding factor of their day. It is a beautiful time but it is also a challenging time. We honor the individuals that have been fighting the wars; we feel sad when souls perish in terrible accidents or life threatening situations around the globe. It is a very challenging time for each of us. We watch videos, listen to the radio, watch the news media to get a glimpse of what is happening around the earth. Is this because of curiosity or is it because we want to do something about it? We have been tyrannized for thousands of years since the fall of Lemuria and Atlantis. Individuals are waking up to all of these elements to see that there needs to be a better way to exist upon this planet. So we are learning through our own ways to find a balance within our existence. This is not always easy. In order for each of us to experience Oneness within our communities, we must experience it within ourselves. We must find the inner core that is deep underneath many layers of dysfunction, many lifetimes of not fully seeing unity upon the land. It is underneath this inner core that the true realization of our existence lies within each of us. As we look within our Soul’s Essence, we need to find the inner core that says to us “I AM FREE FROM ALL CONFINES THAT HAVE BEEN PLACED UPON ME FOR THE MANY TIMELINES I HAVE EXPERIENCED.” If we don’t find the peace within us, how can we expect to experience it through others? Lord Adama, High Priest of Telos, has shared in our teachings that in order to experience the 5th dimensional way of life, we must first expand it within ourselves. We cannot just walk into the 5th dimension; we have to create it together. On this 4th of July I suggest that each of us looks deeply within ourselves and see where we have created the drama in our lives to ensue lifetime after lifetime. Do you feel you have purged all elements and there is nothing that can stand in your way? The only way I know how to do so, and I live it in Mt. Shasta, is to look deeply within on every action and reaction that occurs with any person, situation, or experience. Look to the self to understand why you are creating the experiences in your life and the interactions that you have with other individuals. Do you feel happy every day when you awake? What do you do if you do not? Do you hold onto it, creating moments filled with emotional upsets? Each moment we are creating our reality based on what is within us through the Etheric Body, Emotional and Mental levels. The elements that are lodged in these areas are from the previous timelines that will ignite as we become Multi-Dimensional Beings. We all have a choice. To live the way we have been living or to make a change within ourselves. We cannot make anyone else do it. But we can help others by doing it ourselves in each moment. This takes great foresight and initiative to look within our psyche for everything we experience. This is the FREEDOM of the SOUL being fully expressed within our being. It is an amazing journey when we decide to move through it. Then, as we each do this, more will understand and see it for themselves. This is true ONENESS of SPIRIT. We can talk about Oneness but do we experience it in every moment of our existence? That is the question I am posing on this 4th of July. 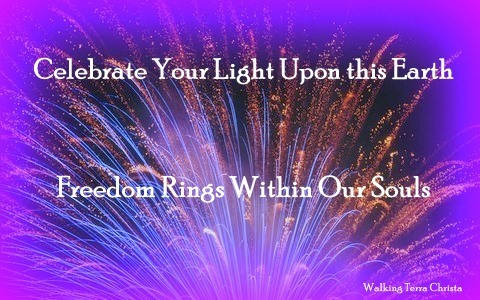 Freedom rings within our Soul. Our Higher Self is awaiting to be fully integrated within each of us, but it cannot happen until we fully realize our faults, deeds, and actions to ourselves and others. This is true forgiveness of the Self. Then, and only then, can we share it with others as they will receive it through our vibrational essence. It is the way of our New World that is being birthed. Those of you in the United States that are celebrating this holiday, take a moment of reflection and allow the Freedom of Your Spirit to shine within you. When you are watching a parade, hearing a story about others, celebrating with your friends and family, or watching fireworks, be your own best hero. Take a moment and breathe into your own essence. Find the freedom within you to be who your Higher Self wants you to be. It is a great celebration. And those of you in other parts of the world, just be the beauty that you are and freedom shall ring within you also. Happy 4th of July ~ it is a time of great celebration. This month is going to set a huge opening of many events to change upon the world. Many are writing about it and I share it from the information that as been provided through our teachings from the Ascended Masters. Wesak in May truly set the stage as the enfoldment of the Three-fold flame of the Will, Love and Power was actualized within the essence of Gaia. We then experienced an amazing Solstice in which a doorway opened for every human on earth to blend their three minds of the Consciousness, Sub-consciousness, into the Super-consciousness of our Higher Self. This is a pretty tall acceleration which will continue through eons of time. So now we are in adjustment phases of allowing all of these energies to blend into our physical existence. In addition the veil between the worlds of Spirit and Matter are now closer than they ever have been before. This means that the availability of connecting with the Light Beings is so close within our consciousness. It also means that the gap of the opposing forces is getting smaller but not without trying to create challenges for each of us. The New Moon occurs on July 8th, 07:14 GMT, 12:14 AM PDT, 3:14 AM EDT which is in Cancer. It is a time of inner reflection of truly understanding what is occurring for your pathway by tapping into the old timelines, igniting the ones you felt you want to remember, and allowing the unity of the Self to be blended within you, The One that is Transforming. Take time for a special ceremony while setting your intentions towards the upcoming full moon on the 22nd. It is also a time of Mercury Retrograde but we don’t want to center upon those energies as it is a third dimensional reality. As we are learning to vibrate our physical beings into the fifth dimensional level, we take this time period as a lesson and removing the old aspects that no longer fit our purpose in any form. Staying stuck on what Mercury Retrograde can do to us physically, emotionally, or mentally must be a gift from the Universe. So keep intending to raise your vibration through your voice, utilizing the Rays of God, and affirming your Higher Self is your deciding guide in all moments; then, you shall glide through this period with Ease and Grace. We are the Unified Whole Command of the Great Divine Director, Master Thoth, and Master Einstein at your service. It is a pleasure to connect with each of you again. Our message today is one of great concern. There are going to be tremendous changes and upheavals around the world so it is imperative that each of you understand the process that you are going through to create a balanced Body, Mind, and Spirit. We don’t want to share what is going to occur because that may change. Our role is to assist each of you in the process that you are undergoing. With the upsurge of energies that have occurred on a spiritual and vibrational level it is important that each individual understands their own role at the present time. Sometimes this may be difficult to comprehend due to the acceleration and change that each of you is undergoing presently. You see, you are not any different than GAIA. Everyone is changing all at the same time including each of us within the Hierarchy and the Unified Whole. More and more light beings are realizing their role in the earth’s changes and are putting themselves into the Unity of the One. This is exactly what is happening within the Earth and we call upon each of you for assistance. The more diligence you make to create the unified Being of Light you want to be, the more it is going to assist GAIA. Areas of the world that will be greatly affected will be the ones that need this light more than others. This is not to mean that you have to sit and send out energies to certain areas continually. We are talking about the pathway that each of you are walking upon right now. What is your focus in your spiritual life? Do you think about this continually or is it a plan that you have within your foundation? We like to think of it has “planning in action”. This means that on a 30-day basis to make an overview of what you would like to accomplish within your own four-body system, what elements need to be healed, and how would you like to acquire these elements within your life? It is just a simple plan in which you reflect at the beginning of each month of what you have experienced and what you would like to create. Then within that monthly period you will see elements arise that either assist you or de-assist. This is when you take the ones you do not want and purge them into Wholeness. The ones that you desire, you thank them for coming to you, and celebrate yourself. We suggest this tool to help you understand what is happening within your existence through your physical, etheric, emotional, and mental bodies. The changes are going to happen to you as you raise your vibration; it is all part of the Divine Planning. You stepped into a world that you assist you with these elements. We share this because it is going to help you stay grounded and focused when other changes are taking place around the Earth. These are very challenging times but the more grounding that is created within each of you, the more we can assist. The energies that you will be exhibiting will help others around the world to receive the Light and Love of God within their hearts. We all know that the Mind of the Self is now becoming the Super-Conscious. As this occurs, the old elements will arise. If you have not worked on them previously, then you will have to do so. If it is something you already have healed, then it is just a remembrance. Breathe into it and now that your Higher Self is the deciding factor of it all coming into balance. You will know the difference. This is exactly what is occurring within Gaia. Everyone is experiencing it at the same moment in time. Each of you, being the Lightworkers, are the grounding force for GAIA so it is your responsibility to stand within your power each moment. We all know this may be a challenge because the elements will bring up what you have not cleared so it could be a rough ride for some of you. Learning to hold within the space of your Higher Self will be the deciding factor in how this all occurs for each of you. We are at the beginning of this phase. Weather patterns are going haywire due to elements of control. But it is not your job to complain about it. It is your job to accept the challenge and change your energies by chanting, meditating, breathing your I AM presence deeply into your essence. The media is very strong and will want to bring more fear into the design of these changes. We ask each of you to hold your ground, know who you are, and expand that essence. This is the pathway of mastery and it is the most challenging times no matter where you may be on that journey. Each initiate is being asked to step into their Love, Will, and Power to create a joyful and miraculous journey for all individuals on this planet. Do not let another to set you astray as the powers of this energy are determined. With all of our assistance, each of us, we can become the Oneness that each of us desires. But great challenges will ensue. Take what you have learned and apply with the Light and Love of God. We stand with you always within the Unified Whole Command. May the Light always be our Guide in Unity of Light.